It’s becoming cold all over Italy at the moment. Here in Milan it’s freezing at night, so it must be absolutely gelid up in them there mountains. To stave off the winter chill, those who are not nuts about winter weather might like to try an interesting little Italian liqueur called Nocino. Nocino, if you did not know, and knowing how good Italy is at telling the outside world about its hidden treasures, it is probable you did not, is a walnut based alcoholic drink which is quite common up here in the north of Italy. 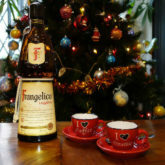 Often this walnut liqueur is served to guests by country people in the Emiglia Romana region of Italy. Often said country people have created their very own potent versions of this nutty 80 proof drink. I had a bottle of Nocino in the house which I finished today (It is cold). It was Nocino di Modena, which can be found in my local supermarket – note that I live in Italy. If you read on you’ll find out a little more about this Italian drink, and an official recipe for making it – but you will need to come to Italy in June to gather an odd number of walnuts in order to fulfil your Nocino dreams. To be honest Nocino does look like motor oil. Not sure it would work as motor oil though, but if you poured a couple of pints into your car’s engine, it would probably end up feeling rather happy while swerving and hiccuping its way down the road. At least until the engine succumbed to the alcohol content and exploded into a myriad of tiny fragments all smelling vaguely of walnut. Indeed, Nocino is rather on the strong side, so drinking any more than a wee dram and then driving is not recommended. Come to think of it, you should perhaps pop this fire-water right into the fuel tank… Sorry, I digress. Where do the nuts come from? Rumour had it that Brazil was the place where the nuts came from. Well, as we all know, rumours are often just that, rumours. The truth is that the nuts used in Nocino come from the woods around Modena, a small Italian town that also happens to be moderately well known for making loud, fast cars, which are often red, and balsamic vinegar, which is brown like Nocino. What Does Nocino Taste Like? Unsurprisingly for a nut based drink, the flavour is nutty, and it is quite sweet too. Nocino tastes of walnut, although it’s not, perhaps, the kind of flavour one might expect from walnuts which have been turned into a drink. The fact that it is made with green unripe walnuts may have something to do with this. All the Nocino I’ve tried has had a quite a syrupy consistency and, as one might expect from a nut based drink, it’s colour is a dark oily brown. It’s aroma is distinctly nutty too, and it has quite a kick with its 40% alcohol by volume or 80 proof. As Nocino slips down one’s throat, it warms one up. It does not burn like cheap whisky, and you seem to be able to feel it as it wends its way towards your stomach. It’s quite an odd sensation. Although it is an odd drink, probably because I think it is a bit strange to make a drink from walnuts, I do like it. Some may find Nocino a little on the sweet side, though, but then all the liquers I have tasted have always been sweet drinks. I would definitely recommend trying it. Nocino may be considered quite an aristocratic tipple too, as it does have a distinct pedigree. Would you believe that there is an ‘Ordine del Nocino Modernese‘, which roughly translated becomes a slightly nutty sounding ‘The Walnut Liqueur Order of Modena’? Well, there is. And aficionados, or those who are curious, might like to use this recipe, which I’ve taken from the Walnut Liqueur Order site and put into English, to try and create their very own Modena Walnut liqueur. A litre of 95° alcohol – which is easy to find in supermarkets here (Note to frequent and not so frequent flyers – Not sure if you could take a bottle of this on as ‘hand luggage’ though – it’s basically an exlosive). 700 to 900 grammes of sugar. Around 33-35 green walnuts depending on their size – a nutty tradition has it that you must use an odd number of walnuts. And your nuts must be untreated and from around Modena – so you’ll have to come to Italy to get them, unless you want to cheat and use local nuts. Local nuts will not give the same results though. More importantly, and as tradition indicates, the walnuts must have been gathered during the feast of St. John the Baptist which is around the 24th June – otherwise your nocino walnut liqueur just will not taste the same, or so goes the legend! You must check the consistency of your walnuts with a pin or the nuts may be split in half -alas just what the ‘right walnut consistency is’, is not given, although if you stick to tradition and collect your nuts around St. John the Baptist’s feast, they should be OK walnuts, presumably. In addition to the right, and odd number, of walnuts – gathered at the right time, a few cloves and a little cinnamon may be added, however, according to the Walnut Drink Order official recommendations – a little is too much. Make of this what you will, although the guideline states that the flavour of the walnuts must be preserved at all costs. You have been warned or else you will end up with a taste which will not drive you nuts. The walnuts, once collected, must be cut into 4 pieces and placed in a glass jar (a large pickling jar -with no rubber gaskets), along with the sugar. After being kept in the sun for 1-2 days and mixed periodically, the alcohol and any flavourings can be added to the walnut and sugar mix (This requirement excludes those in the UK from having a go – they never get 2 hours sun in a row!). Once the alcohol has been added, your jar of walnut liqueur needs to be placed in a partially sunny location for 60 days . The jar should be opened from time to time and the contents stirred. 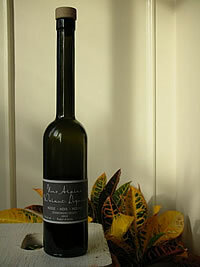 After a minimum of 60 days, the walnut liqueur may be filtered and bottled. For best results the walnut people recommend using smoked glass bottles. However, the best quality Nocino needs to be left to mature like a good wine. Real Nocino nuts or enthusiasts might like to try the next stage in order to take their very own Nocino to the next level. True connoisseurs should pop the 60 day old walnut liqueur into small wooden barrels made of sweet chestnut or oak, and leave the liqueur to mature in cool spot – read cellar – for a minimum of 12 months. If you do manage to lay you hands on some ‘small wooden barrels’ then what you will end up with after 12 months may well be a rather special walnut liqueur. Then, of course, there will be the terrible ‘chore’ of having to taste you home brewed walnut liqueur every so often to see how it is coming along. Go on, force yourself! The Modena Walnut Liqueur Order Website – in Italian. No prizes for guessing which drink the local Modena Freemasons down at their meetings! I know this may be hard to believe but we recently opened a bottle of Nocino (spelled Nucillo by my grandmother) that my grandfather & great uncle made in 1927. After all of these years, it still was delicious! Of course, both men passed away and neglected to leave the recipe behind. It was great to share the last bottle at my family reunion. The juice from the walnuts will permanently stain anything it touches, so you might want to wear gloves while cutting them. Wash down the cutting board as soon as you are done cutting the walnuts. Other recipes I’ve found use orange peel instead of lemon, use spices such as mace, or include grappa. The next time I make nocino I may try the orange peel and even add a little star anise. 1 Rinse and pat dry the walnuts. Cut them into quarters with a sharp chef’s knife or cleaver. Be careful as you are cutting them; if you’ve waited too late in the season to pick them, their shells may have begun to harden and cutting through them may be a little dicey. Watch your fingers. 2 Put walnuts, spices, zest, sugar, and vodka into a large glass container. The vodka should cover the walnuts. Cover and shake to mix well. Store for 6 weeks, shaking daily. As the days go by you will notice that the color of the nocino gets darker and darker. 3 When you are ready to bottle, remove the walnuts and solids with a slotted metal spoon. (Again be careful where you do this as the walnuts and the nocino will stain.) Strain the liquid through several layers of cheesecloth into glass bottles. (I’ve seen recipes that call for straining the liquid through coffee filters which I think would work fine too.) Cork tightly. According to David, nocino will last for several years if stored in a cool, dry place. The nocino will initially be rather bitter, but it will mellow over time. It’s best at least a year after it was first bottled. Makes about 1 quart. Great for gifts. Thanks for the alternative Nocino recipe, Shelly. Some useful tips too. However, it is not the ‘official’ recipe. And those walnuts must come from the woods around Modena, or else it just will not be real Nocino. Not sure about the vodka either, but then I don’t think it is that easy to find pure alcohol outside of Italy. If it was sold in the UK, some banana would drink a few bottles, die, and cause the UK to introduce legislation banning all alcoholic drinks! Yummy! Thanks, Alex… you are truly the master at finding cool Italian stuff! Actually, Joe, there is quite a lot on the www about Nocino. 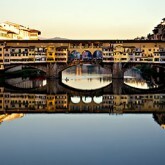 It is, however, not a bad idea to remind people that such cool Italian stuff exists! There is an awful lot of cool Italian stuff too. Now, just what were you up to in Copenhagen?? I promise, I was only up to good things there! Going to parties, watching opera and other classical singing, and trying out some Danish “smorrebrod” dishes and “Glogg” (a spiced, heated wine drink). I also swung by the Climate Conference on three days, but could only get close to the Bella Center and at nearby hotels (Crown Plaza, etc.) where small meetings were happening. Couldn’t actually get into the Bella Center where the main events were held. Some pics are posted up on my Facebook site – will post some more. Last couple of days it snowed, but then when I got back to DC, we had a massive snowstorm that dwarfed anything in Copenhagen!